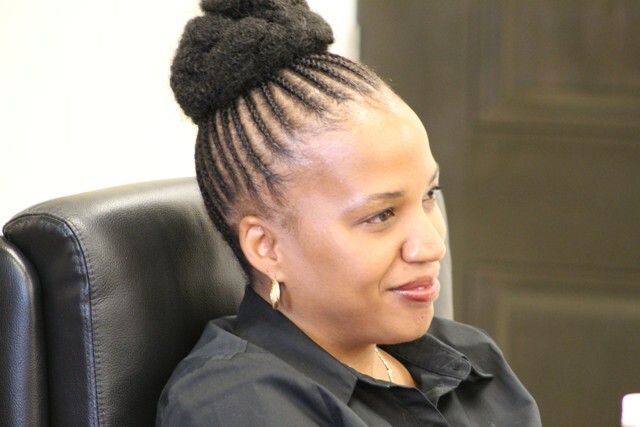 NIA CHARLESTOWN NEVIS (January 31, 2019) — Mrs. Nicole Slack-Liburd, who has served as Permanent Secretary (PS) in the Ministry of Health for the past five years, ends her 15-year tenure with the Nevis Island Administration on January 31, 2019 to take up a position with the Pan American Health Organisation (PAHO). Hon. 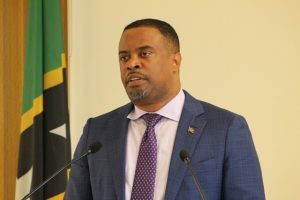 Mark Brantley, Premier of Nevis and Senior Minister of Health, made the announcement of her new appointment, while extending congratulations at his first monthly press conference for the year at the Administration’s Cabinet Room in the Premier’s Ministry at Pinney’s Estate on January 31, 2019. “I end by extending my warm congratulations and appreciation to Mrs. Nicole Slack-Liburd. She has been a bright light in health and the delivery of health services here on the island. She took over, at my urging, the Ministry of Health as the Permanent Secretary in 2013 and she has been leading I think, with great distinction that ministry. “She is now, I am told, is in the process of transitioning to higher heights…so she’s taking a position now with PAHO and I want to commend you, Mrs. Slack-Liburd, for your efforts. I want to wish you all the very best. I want to thank you for the brilliant years you have given us here in Nevis and hope that your new role at the regional level, will benefit you and that you would benefit the role,” he said. Meantime, Mrs. Slack-Liburd, who was also present at the press conference, told the Department of Information she is grateful to the Administration for giving her the opportunity to serve. 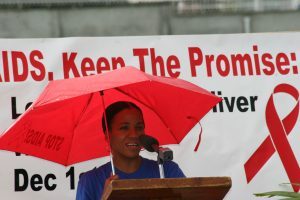 “I thank the Nevis Island Administration including the junior and senior Ministers of Health, my staff, colleagues from other ministries as well as non-governmental organizations. I also thank the clients that we continue to serve who have also contributed to my growth, and the growth of the Ministry of Health over the years,” she said. In her new regional position, she will serve as PAHO’s Country Programme Specialist in St. Vincent and the Grenadines from February 6th 2019. Mrs. Slack-Liburd noted that her tenure with the NIA had set the stage and served as a spring board for her new undertaking. “In my position as PS, I have been exposed to all areas of health including environmental health, nursing, dentistry, mental health, disaster management, institutional health, universal healthcare etc. I have also been working in the area of Gender Affairs over the last year which I have enjoyed immensely. I have worked with one of the largest and greatest staff complement in government. I have learned so much from them. “These experiences have prepared me for this new opportunity that I am about to embark upon with the Pan American Health Organization… The experiences that I have gained in this ministry have been invaluable. I have forged many partnerships with international organizations, universities, and colleagues from other countries all around the world,” she said. During her tenure in the NIA she served as Health Educator, Health Planner and Permanent Secretary in the Ministry of Health and Gender Affairs, Health Disaster Coordinator and Acting HIV/AIDS Coordinator.